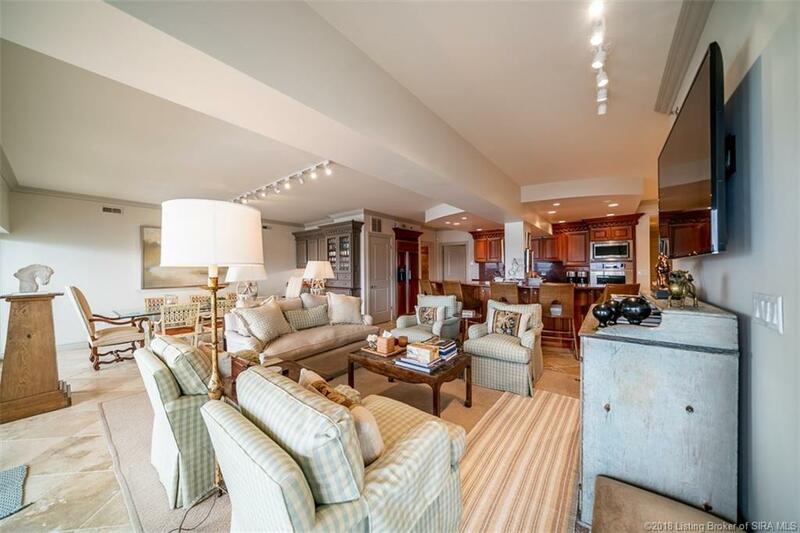 STUNNING combined condo on 10th Floor with 40 feet of River Front Viewing both inside & out. 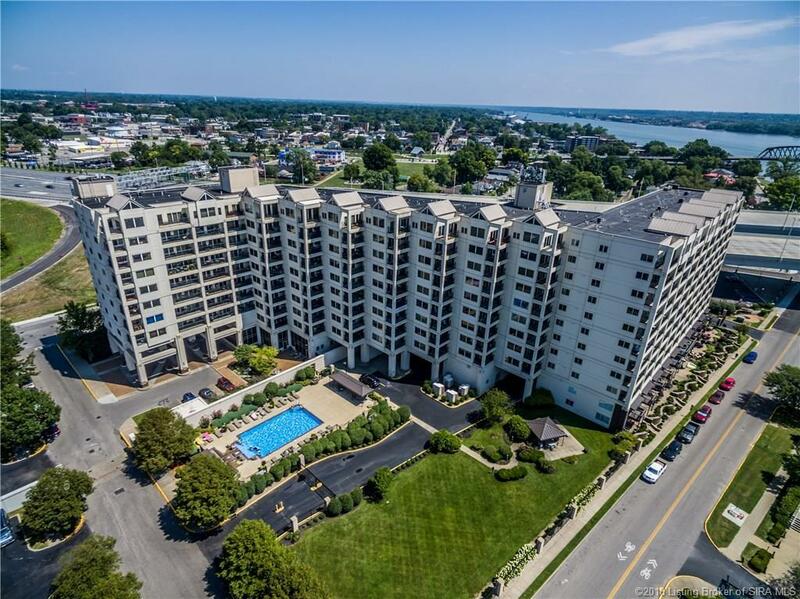 Breathtaking views of the Louisville Skyline & Ohio River. High-end finishes throughout -- travertine floors, exquisite crown molding & baseboards, custom cabinetry in Kitchen & baths, finished drywall ceiling allowing for recessed & track lighting. 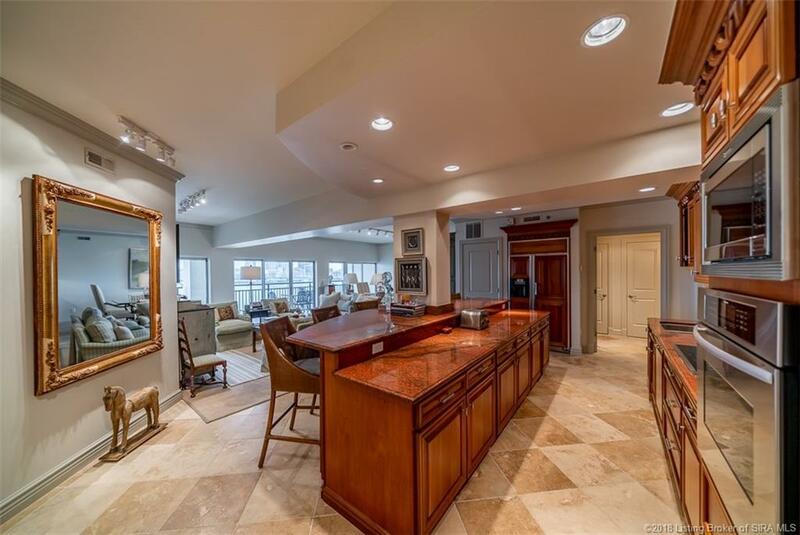 Open floor plan features an 11ft 2 level island w/ granite & cabinetry on both sides. GE Profile refrigerator & dishwasher have cabinet front doors. Thermador oven, GE Profile cooktop & walk-in pantry. The built in buffet/bar in the dining area w/ sink & GE Monogram Wine Fridge. Large living space/ entertaining space opens up onto the tiled balcony. The master bedroom allows skyline viewing right from bed. Master bed/bath has 3 closets, jetted tub, granite double vanity & separate glass shower. The guest room has a private entrance w/ 4 custom closets large & walk-in closet. Guest bath has large walk-in shower & 2 linen closets. Laundry features laundry sink & automatic lights. All 11 closets feature custom wood shelving. Deeded parking spaces 518, 529 & 628. Premier location for Thunder Over Louisville w/ the everyday convenience of walking to multiple restaurants & entertainment options. Harbours is a premier property with gated entries, fitness center, indoor & outdoor pools, grills on-site, patio/gazebo areas. Monthly HOA covers amenities, cable, high speed internet, HBO, Showtime, water, sewer, trash & master insurance. Listing courtesy of Terri Wedding at Semonin Realtors.